We’re about to talk about NaCl. But before we dig into salt, some things to think about: Prior to this, Jesus of Nazareth gave his famous speech called the beatitudes and here we find the Jesus of Matthew’s Gospel continuing with some words you can also find in the Gospels of Mark and Luke, though their versions are shorter: Mark 8:49: For everyone will be salted with fire. Salt is good; but if the salt has lost its saltiness, how will you season it? Have salt in yourselves, and be at peace with one another.” And Luke 14:34-35: Salt is good; but if salt has lost its taste, how can its saltiness be restored [or used for seasoning?] It is fit neither for the soil nor for the manure pile; they throw it away. Let anyone with ears to hear listen!” Matthew’s take is a bit different, isn’t it? In Matthew’s story, Jesus actually compares humans to salt. You are the salt of the earth. So let’s talk NaCl. Salt is important, is it not? 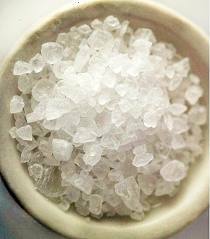 Most historical records say that the use of salt dates back to 6000 B.C.E. Egyptians used salt for a variety of things, including religious ceremonies and even money. That’s right, salt was money. We get the word salary from the word salt, actually. When something is not worth its salt that means of course that it is not fulfilling your expectations. Salt is worthy of its lofty, historical status. 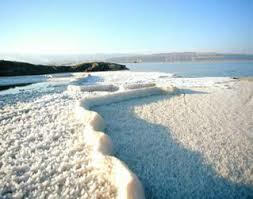 Consider that we are talking about Dead Sea salt from Galilee. Yes, that wonderful salt that comes in rock crystal form and can be used for such things as a muscle-relaxing, skin reviving warm bath, a non-corrosive cleaner, or an incredibly delicious hummus. In fact, there are more than 14,000 uses for salt. So that’s pretty useful, wouldn’t you say? But does salt actually lose flavor? You may think that it doesn’t, but sure it does. Salt from the Dead Sea or any other body of water is mixed with sand and other things. It is not entirely “pure” salt [NaCl]. The chemical impurities can decompose. When mixed with water or when exposed to a lot of sunlight, this salt mixture can indeed lose its saltiness. So it was true that in the time of Jesus, merchants in Galilee would sometimes encounter a salt mixture that was not useful because it had lost its flavor. It was trampled underfoot because, logically, people walked on the shores and therefore walked on the salt. So back to the metaphor. How are humans like salt? Matthew’s story has Jesus talking in the present and not the future tense. He says: You ARE the salt of the earth. So the followers of Jesus of Nazareth were already grounded in the identity of coming from the earth [and the sea], and having flavor, and also being incredibly useful for a thousand different things. This is important to note, because in the sad history [and present day] of human existence, we continue to say that some people are more important than others, more useful, more full of flavor, etc. But Jesus, in this case, says you all [plural] are the salt of the earth. Everyone is useful and has flavor and is uniquely salty. Even Homer J. Simpson. But Jesus [and Matthew] are not finished. Not only are people salt of the earth, but also light of the world. Just like with the salt, we need some context here if we are to get the light reference. Jesus was not talking to rich dudes; or political rulers; or even religious leaders. Jesus was talking to people who would be called poor by many and certainly would be considered poor in the material sense today. They were called salt and now they were called light. In their context, a house often had just one room. Therefore, anyone who enters such a house will immediately see the lamp on top of a stand. Remember, they did not have electricity—like many people in the Philly area this past week! 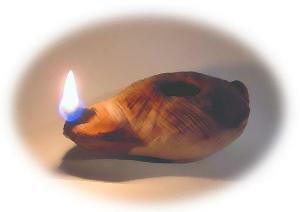 So in Jesus’ time, many people would have an oil lamp on a stand, and the way they would put out the fire of the lamp was to put a bushel basket over the lamp. This is practical and necessary to do before going to bed so smoke and fumes stay inside the basket. Keep in mind also that in this era, there were not hundreds of neon signs flashing, street lights, car headlights, or anything like that. When it was night, it was really, really dark. You could see the stars. So when the lamps were snuffed out, it was dark and hard to see. So, says Jesus, it is important that in calling these humans light, they should not put their light under a bushel basket. They should instead shine like a light on top of a hill. They should be bright. They should not be afraid to shine. They should be illuminating light—regardless of what others try to tell them they are or are not. And like the salt metaphor, people of light are connected to other people, and useful, and open. So there are two things that jump out at me here. First of all, in Matthew’s story, Jesus is not calling religious people salt and light. He’s not saying that if you believe this specific thing or if you go to this specific church—you are definitely salty and bright. Jesus is saying, to a group of often-marginalized and overlooked people, that they are already salty and bright. They don’t have to convert; they don’t have to follow certain moral codes; they don’t even have to join a certain religious club. They are already salt. They are already light. Secondly, the salty and bright people should not get discouraged or afraid. Salt can lose its uniqueness and flavor. As people, we can, too. Enter stage left: assimilation and the pressure to fit in. Someone tells you that you need to change who you are because you do not fit their definition of a human being. You’re gay or lesbian…change your preference. You’re transgender…make up your mind. You’re poor…get a job. You’re sad a lot…take medication. You’re full of doubt…have more faith. You speak another language…learn English. You don’t fit my definition of human…so change already! We can be pressured to change who we are. But we shouldn’t. We don’t need to change the essence of who we are, because we are all unique. We are all salty. We all have flavor. We’re naturally ourselves. Actually, we can add a lot of good in the world if we are fully ourselves—honest and candid and real. In that way, we will also accept others as they are. So listen, don’t give power to others, allowing them to take away your saltiness or to cover up your light. You are already salty and bright. Don’t let others tell you that you can’t sing that way, or paint a picture like that, or that you should be just like them or that you’re not worthy to shine or to be salty. And don’t try to copy everyone else. Your light is uniquely bright because it comes from inside you. 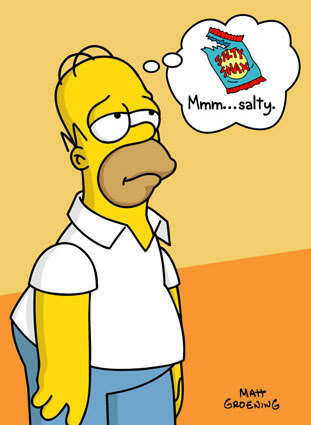 Likewise, don’t ever tell someone else that she/he cannot be salty or bright. Don’t force others to be just like you. Let their uniqueness shine through. And remember how Jesus closed this part of his Matthew speech. He talked about the Law, or in other words, the Torah commandments, which were summed up in: You shall love the Lord your God with all your heart, and with all your soul, and with all your mind. You shall love your neighbor as yourself. On these two commandments hang all the law and the prophets. Being salty is being loving and compassionate. Being a light is shining love and compassion for all people. This does not mean that you save the world or make yourself famously salty and bright. It means that in your little, seemingly insignificant life, you have the salt and light already in you. Because your so-called religiousness won’t do the trick; your holiness will never be enough; everybody breaks religious rules and fails to uphold religious doctrines and disciplines. Everyone. You will inevitably fall asleep praying; you will get tired of worship; you will sometimes not want to do the work of meetings and administration; you will get annoyed with church people; you will be sad and apathetic sometimes; your doubts about God will not fade away; and you may struggle with your spirituality every day of your life. You will have days and maybe months when you will struggle to get up in the morning and you may feel that you don’t have much of a purpose. You will sit in class at school and wonder if you matter. You will go to work only because you have to and not because you love what you do. You will stay in relationships because of obligation and not because of compassion. You will have moments when your light will dim and your saltiness will fade. Yes, you are human. But you can love. You can encourage someone who has been pushed down. You can welcome someone who has been left out. You can show compassion to someone who is barely hanging on. You can add flavor to someone’s day with laughter or a fresh perspective. You can treat people well—no matter where they are from or how they look. You can get up each day, and go to bed at night, with the realization that you were born salty and born with light. So be salty. Be bright. Recognize the beautiful flavor and light in all others. Be fully yourself and embrace the fullness of others. Amen.